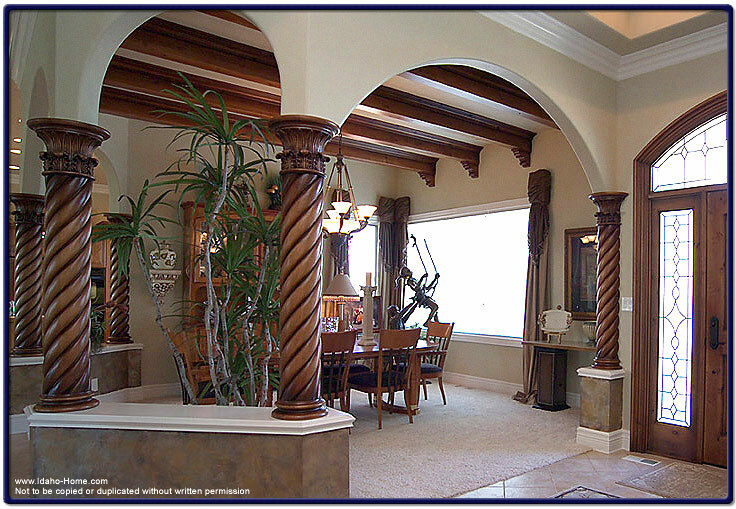 The image below, captures the richness of your home, when using a combination of large wood columns and ceiling beams (made of dark hardwood). The result of this design enhances the depth and makes a statement of the room itself. This design can used in many parts of the home including the living room and entryway. This home was designed and built by One World Builders in Twin Falls.